B&C Transit Inc. provided the Design – Build contruction documents for the Central Control System (OCC) for the Hampton Roads Transit (HRT) in Norfolk, VA. This system provides control and monitoring of the entire TIDE line, currently in active service in Norfolk. The system provides train control, traction power control, and extensive alarm monitoring of various systems including UPS, Fire, intrusion, TVM, Fiber switches. HRT is a new Light rail system from Newtown Road to Norfolk State University (NSU). The project included at-grade, aerial, and trench alignment with new passenger stations, new yard, and parking structures. The initial $338 million segment, operated by the regional transit agency, HRT, is 7.4 miles, has 11 stops and is currently located only within Norfolk’s city limits. This Design-Build contract is comprised of the 9.2-mile light rail extension of LACMTA’s Metro Blue Line (MBL). The project includes at-grade, aerial, and trench alignment with eight new passenger stations. B&C Transit Inc. was responsible for design, procurement, assembly, and testing of the train control system which consists of safety critical block design and equipment required for safe vehicle operation on the new line and modifications of the existing MBL. B&C is providing all train control room equipment including vital and nonvital processors plus wayside signaling, track circuits, and grade crossing equipment for the new light rail line. 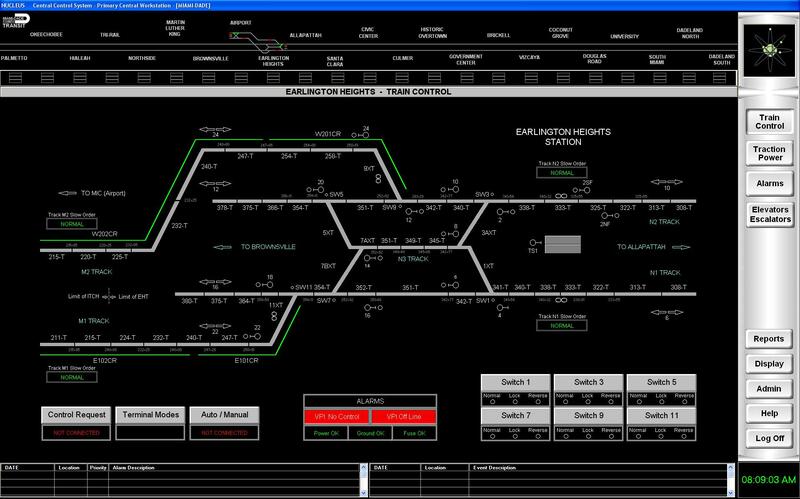 Software, including vital application logic was programmed by B&C Transit Inc.
B&C Transit Inc. was also responsible for design, procurement, assembly, and testing of the communications systems for the eight passenger stations and the interface to the central control facility. B&C Transit Inc. is providing a fully integrated and compatible communications system with equipment to be furnished at wayside facilities. Major communications system components include a SONET cable transmission, public address, variable message signs, CCTV, telephone, voice radio, fire detection and suppression monitoring, intrusion detection, seismic detection, and SCADA systems along with interfaces at the existing Rail Operations Control Center. B&C Transit Inc. is providing installation, testing and commissioning of new non-vital microprocessor equipment (VPI) for non-vital: station stop, and door-dwell control. This equipment is replacing obsolete non-vital relays for station control functions.